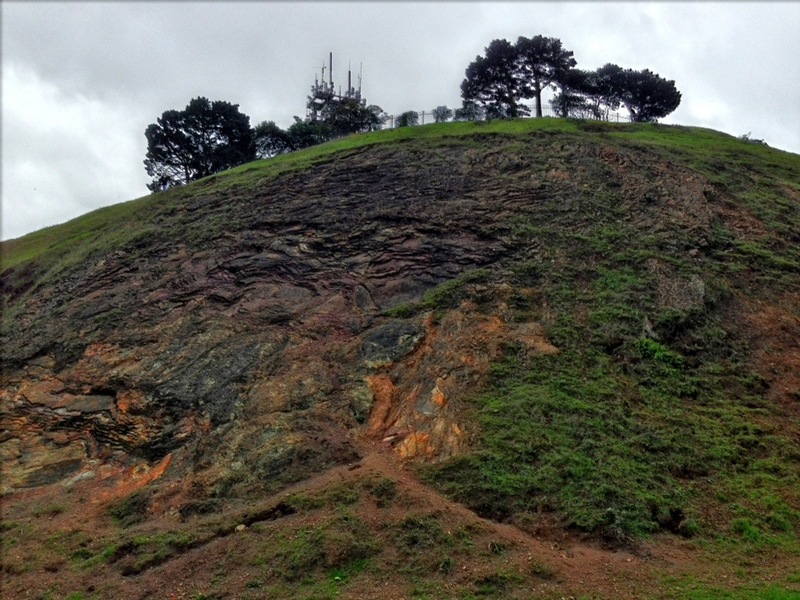 I like to think of Bernal Heights as populated by intelligent dogs who have humans as pets. Kind of like Planet of the Apes, but with better restaurants and 4G. 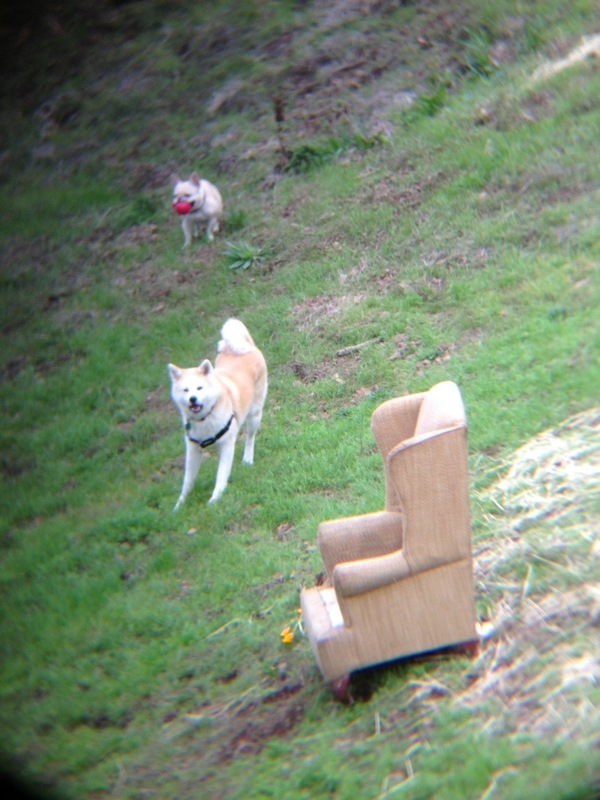 This dog is not as happy to see the upholstered invader. 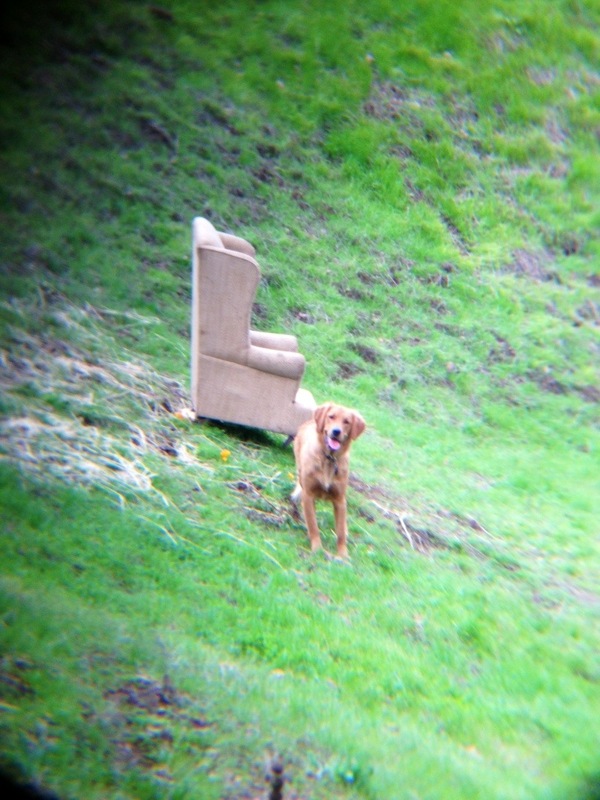 Is this chair the Kubrickesque monolith that will give dogs opposable thumbs and mastery of tools? Alas no, for the downfall of dog civilization will be its limited attention spa¡SQUIRREL! 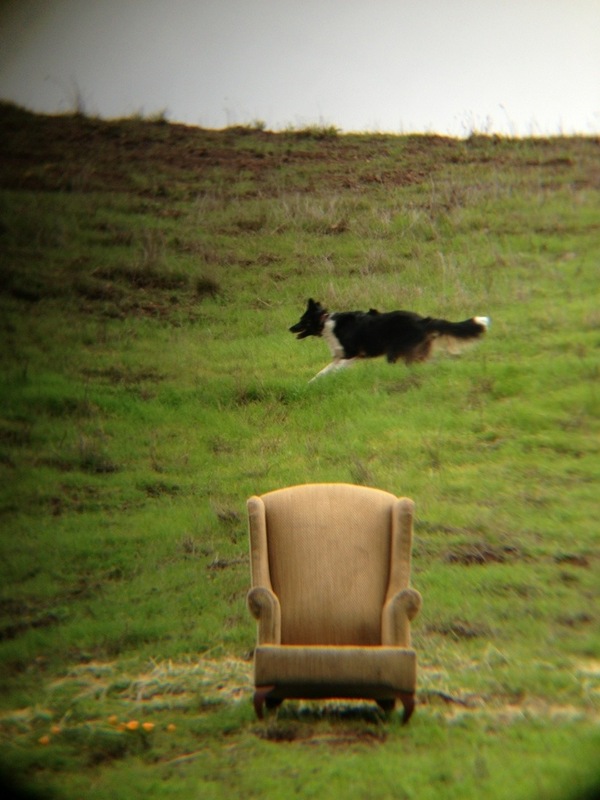 But little do dogs know that our chair points towards a greater power, the all knowing and all-seeing Sutro. 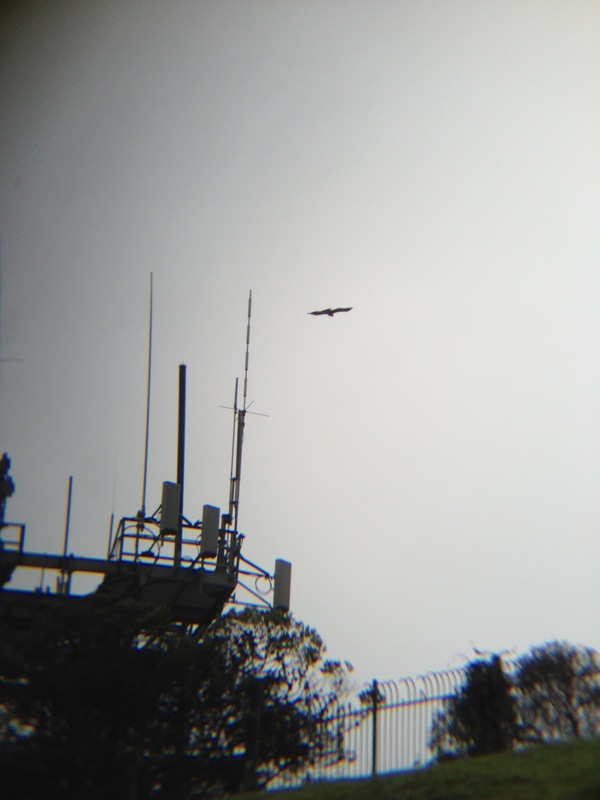 While Sutrito is a minor deity, it does come with its own hawk. Chert calmed by grey and green. And for good measure, a 10K pixel panorama with dramatic skies. 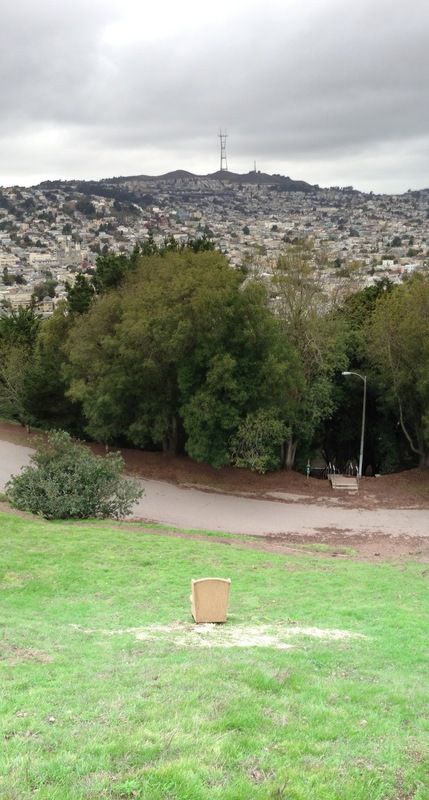 It was my understanding that this is part of the design proposal from the directors of the Bernalwood ski resort for their chairlift.